3 CEs $60. Non-CE option $20. As working professionals, no one pays us to practice. We no longer have a regular space and a time to geek out, share skills and have fun with our work. Now, it’s on us to notice if our shoulders are in our ears or if we’re working too hard because we’re just a bit off. Skill Share is a time and a place to support each other’s learning in a casual setting where we can relax and enjoy giving and receiving. This group is for anyone practicing hands-on work with patients/clients and who wants to give and receive feedback. CEs are available for LMTs that need them. 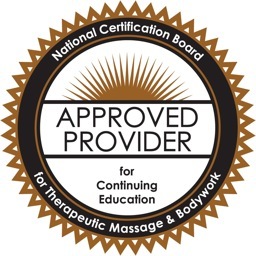 References for anatomy, physiology, kinesiology and various bodywork modalities are available. Tea, snacks and floor mats are provided. If you need a table, please bring it. Advance registration is helpful, but not required. Please do register if choosing CEs and be sure to review class policies and information.